Welcome back crafty friends. Easter is on its way, well just in a few days, so it’s about time for me to wrap up my Easter cards. The card I have here today came out beautifully. For Christmas my wonderful parents bought me Faber Castell Polychromos pencils and I just now got a chance to use them. I have to tell you… OMG!!! I love these pencils.. 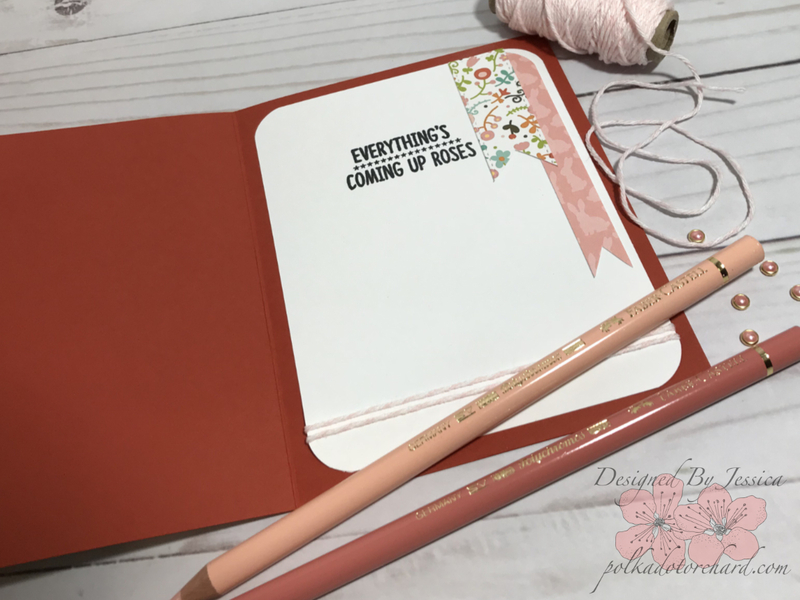 I love how they colored, I love how they blended and I love the look that I got using them on the Neenah solar white cardstock. How lovely is this bunny? It is a stamp from Unity’s KOM “When You Smile” and I think it is the prettiest bunny that I’ve ever seen. Recently one of my best crafty friends introduced me to Echo Park digital paper, this stuff is amazing. Oh, and Snap Click Supply’s dollar Wednesdays, what a deal that is; I’m in so much trouble… Anyways, I have a world of trouble matching different pattern papers and coordinating colors, with this printed paper I’m golden all day long. Also, once I decided what patterns and colors I wanted to use, it made it easy peasy deciding what colors to color my image. All I had to do was match my colored pencils to my pattern paper. By the way, the paper used here today is from Echo Parks paper pack, “Hello Spring”. 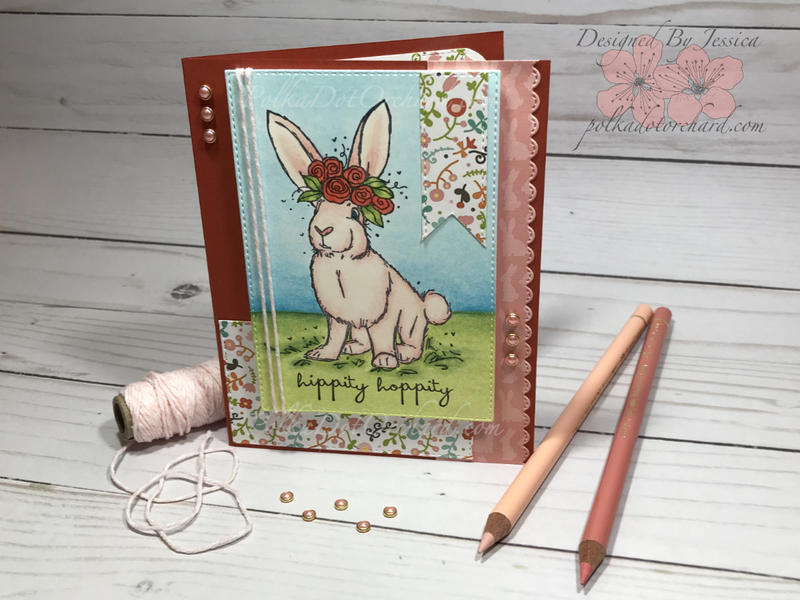 After coloring this lovely beautiful bunny, I cut it out using my Sizzix BIGkick and a stitched rectangle die. I then doubled wrapped some pink and white twine towards the side and attached the image to some fun foam so it would pop from the patterned paper once attached to my Recollection card base. The flower pattern paper was also cut with a stitched rectangle die. I even used my smallest a rectangle die to make the banner attached to the top of the colored image, I just had to fussy cut the little triangle out to get the banner look. Now, the pink bunny paper… Boy, do I love those shades of pink. To cut this I use my Tim Holtz paper trimmer to cut a plain old rectangle and then turned to what is now my favorite die set, the lawn Fawn stitched scalloped border dies. I think over the past month I’ve used this die set on just about all my cards. 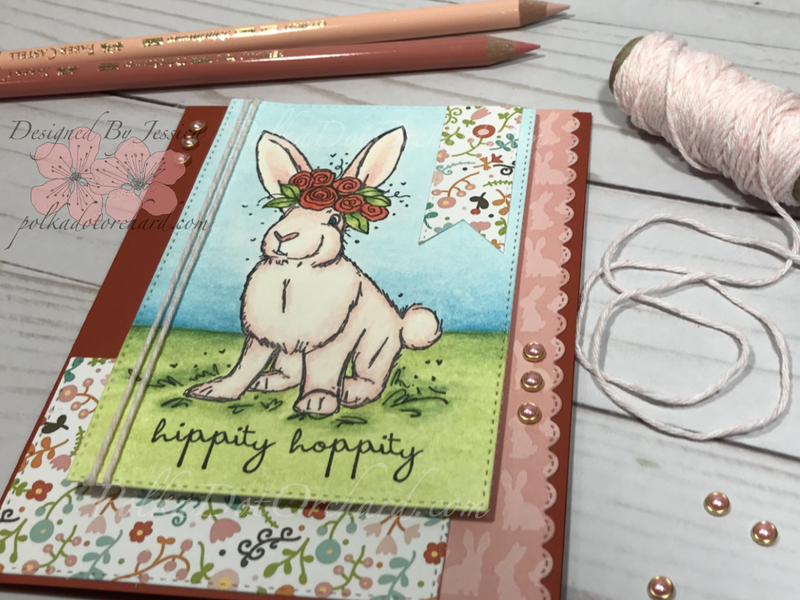 To finish up the front of this lovely Easter card I added just a touch of bling with some flat back pearls and then stamped the sentiment “hippity hoppity” from the Tim Holtz “Crazy Talk” stamp set. Okey dokey, now to the inside of the cards. 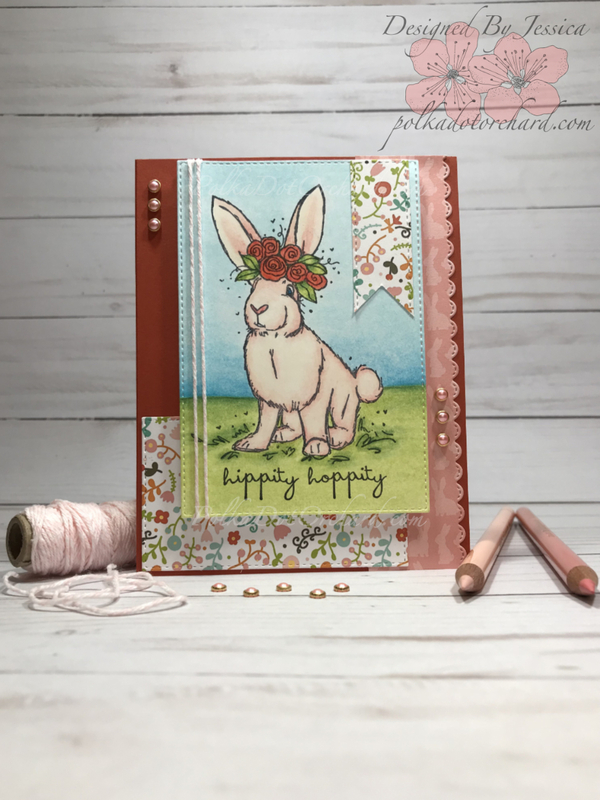 The sentiment “EVERYTHING IS COMING UP ROSES” is from the same stamp set as the lovely bunny. Also, just so the inside coordinated well with the front of the card I decided to double wrap some twine at the bottom of my stamped sentiment piece. The final touch to this card was using the same pattern papers from the front to make some accent banners. Now, I have the perfect Easter card…. Actually, this is my favorite Easter card out of all the ones I’ve made so far. Thanks for hopping in today. Hope to see you again soon and Happy Crafting! Just so you know…. It’s one of my favorite cards as well!!!! Way more prettier in person!!!! So beautiful. Nice colors. Very well done. I like the inside just as much. Great card and I like the little scene you’ve created.